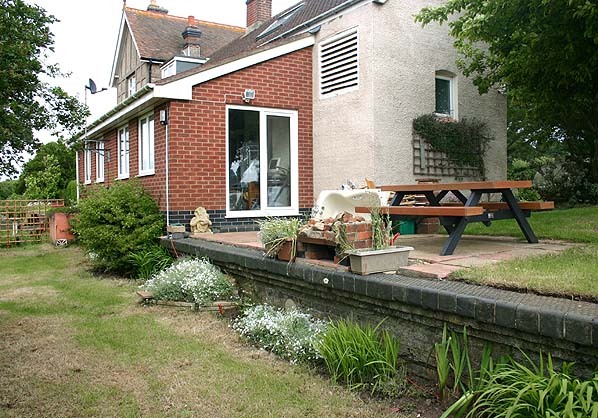 Present state: The platform is still extant and the station buildings and the station house have both been converted into private residences. There is a new extension to the main station building, this is built onto the platform. Notes: A single 260 foot long siding served a small goods yard on the east side of the station. Godshill continued to handle dairy milk traffic until closure. 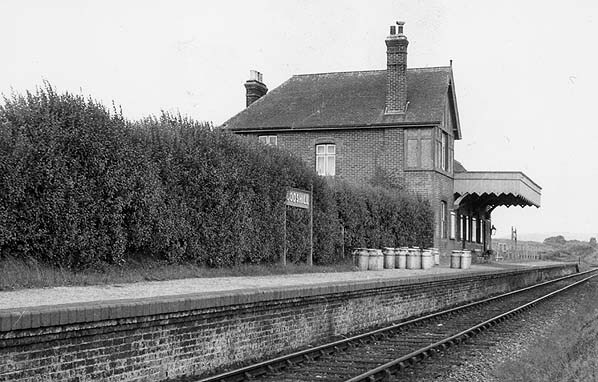 The station was downgraded to an unstaffed halt in 1927. The railways were late in coming to the Isle of Wight. Despite several proposals and a failed Bill the first railway didn't reach the Island until 1862 when the Cowes and Newport Railway opened their line between those two towns. Two years later the Isle of Wight Railway opened a line between Ryde & Shanklin but it was a further 11 years before the two lines were linked by the Ryde and Newport Railway which diverged from the Isle of Wight Railway at Smallbrook Junction, running into a joint station with the CNR at Newport. In 1887 the Isle of Wight Central Railway was formed when the three companies amalgamated. 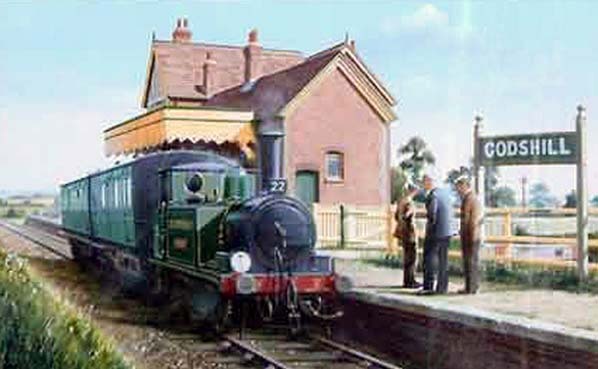 The Newport Godshill and St. Lawrence Railway was opened from Merstone to St. Lawrence in 1897 and to Ventnor Town in 1900. The Isle of Wight Central operated this line until 1913; it was then bought by the Central. Despite being closer to the town centre than the IWR station high above the town the new station failed to capture much traffic from its competitor. All the islands railways were absorbed into the Southern Railway in the 1923 grouping and the service was soon upgraded with the introduction of new rolling stock and a revised timetable that included some through running between the various lines. The Southern Railway itself became part of the Southern Region of British Railways after nationalisation in 1948 and initially there were few changes. However this was short lived; improved bus services and the popularity of the motor car soon led to dwindling passenger numbers. Merstone - Ventnor was the first line to close in 1952 followed by the former Freshwater Yarmouth and Newport Railway in 1953 and the Newport - Sandown line in 1956. The remaining line between Cowes and Smallbrook Junction survived the initial wave of closures but with the end of steam on the horizon the reprieve was short lived with the line closing to passengers under the Beeching cuts in February 1966. Goods traffic continued to Cowes and Newport for a few months but that too was withdrawn by May 1966. The southern end of the Isle of Wight Railway between Shanklin and Ventnor was also closed allowing the remaining line between Ryde and Shanklin to be electrified. This is still open and operated by ex-LT tube stock as the Island Line. The island originally had 55 1/2 miles of railways but after 1966 only 8 1/4 miles remained open. In 1967 there was a scheme to reopen the line between Cowes and Ryde using railbuses, this was known as Vectrail. As part of this scheme the Sadler 'Pacerailer' railbus was developed with a prototype vehicle in Vectrail livery undergoing trials at Droxford Station on the disused Meon Valley line in Hampshire. Eventually this scheme was abandoned. Six bogie carriages of London, Brighton and South Coast Railway and South Eastern and Chatham Railway origin were acquired by the Wight Locomotive Society, along with a variety of wagons, at the end of British Railways steam services on the Isle of Wight in 1966. Initial restoration took place at Newport Station but in 1970 the local council acquired the station for a new bypass for the town and the Society were required to remove their rolling stock at short notice. Following the formation of the Isle of Wight Steam Railway in 1971 these were then moved to Havenstreet in January of that year. Havenstreet became the headquarters of the railway. Gradually a five mile section of track between Smallbrook Junction and Wootton was purchased and restored with a new station being built at Wootton (on the opposite side of the road); this opened in 1987. On 21.7.1991 the line was reopened westwards to Ashey and on to a new terminus at Smallbrook Junction where new interchange facilities are now available with the electrified Island Line. 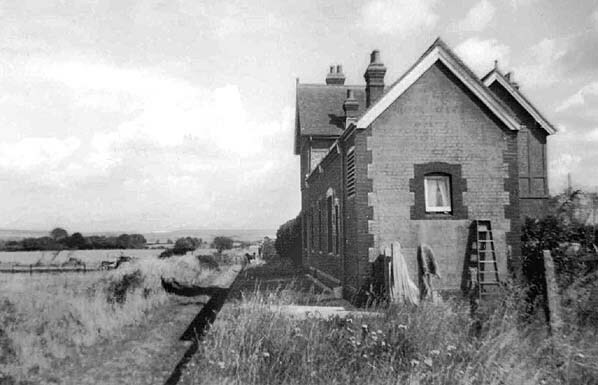 Godshill station looking south c.1964. 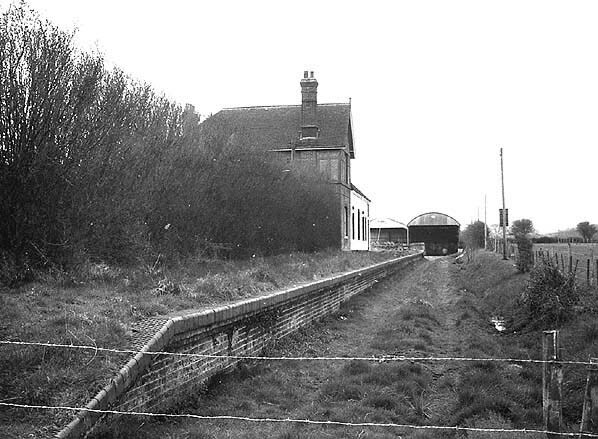 Godshill station in October 1967. 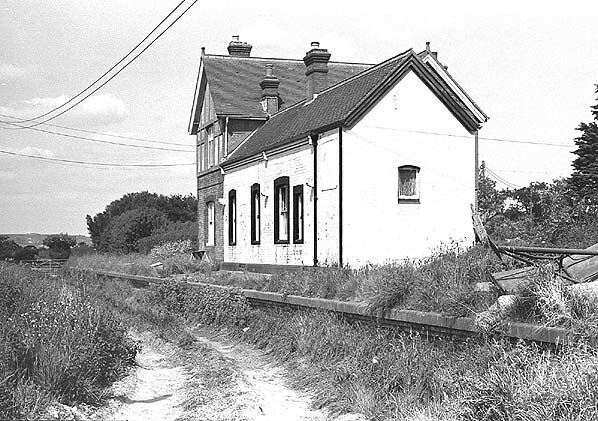 Godshill station in June 1977.